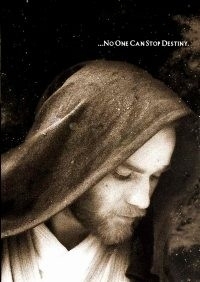 This is a single film with a major focus on Obi-Wan before his life as a hermit on Tatooine and a secondary focus of his apprentice Anakin’s fall to the Dark Side and rise as Darth Vader. 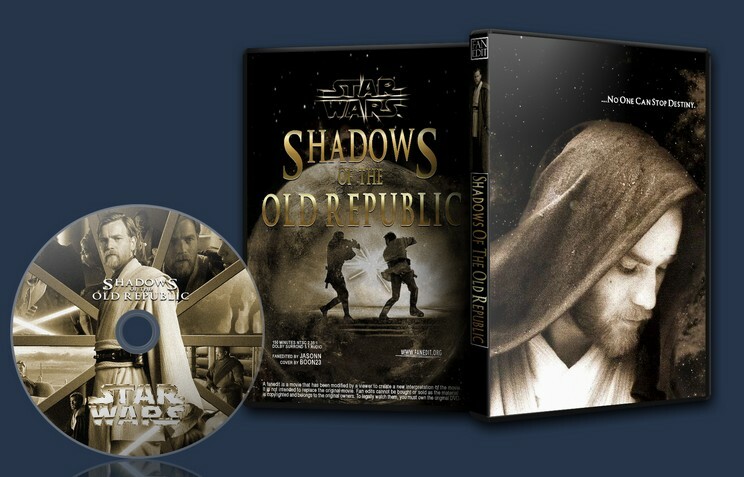 Originally based off a very rough cut of EP1 and EP2 by jra166, this fanedit was my first time working with the Star Wars Prequels and combined Episodes 1-3 into a single movie film which rewrote the story to have a major focus on Obi-Wan during his life in the Old Republic and a secondary focus on the young Jedi Anakin’s fall to the Dark Side and rise as Darth Vader. Initially, I was not at all satisfied with how this edit turned out, which is what led me to work on the films individually and create my own fanedit trilogy of the Prequels instead. Much later on after learning new editing techniques and getting requests from several viewers, I decided to come back to the SOTOR edit and revise it for a V2 release, re-editing the fanedit into a movie about the past of the Jedi Obi-Wan Kenobi which I am much more satisfied with. Excellent work! I’m relatively new to fanedits, but I can understand how daunting a task it is to try and make the Star Wars prequels GOOD. 1) I have grown tired of Star Wars prequel edits. I think there is an abundance of fanedits available that cover a very wide range of ideas/viewpoints/etc. and I would like to see these exceptionally skilled faneditors turn their attention to other projects. 2) I just wasn’t sure how all three movies could be successfully edited down to one watchable, coherent “movie”. I rarely read any of the reviews posted before I D/L an edit; it allows me to watch an edit without any pre-concieved notiions. So, I I D/L’d this edit purely based upon my previous expereinces with JASONN’s work. As far as the technical aspects of the edit: the video quality is excellent. As previous reviewers have already mentioned, there are some abrupt changes to scenes and it makes me feel like I am watching a very long “preview trailer” or highlights show of the best parts of the prequels (if such a thing can truly be said about these movies). As the other reviewers have already said, the music score makes a great many abrupt changes, ends etc that very much distracted me while I was watching the edit. I completely agree that this increases the “hurried” pace, “I’m watching a highlights show” feel of the edit. I have already deleted this edit form my network drives. It is just something I would not watch again. I understand what JASONN was attemtping to do and encourage him to continue to create edits that are not the typical “cut scenes” type. One of the reasons I come here is to not only see someone improve a movie thru fanediting, but to see a new/different interpretation of a movie thru the fanediting process. I was intrigued when this came out the first time, but never got around to watching it. This second version sounded like a good reason. The main problem I had wih this is pacing and building tension. Things happen and are dramatic and stuff, but we have no build up (at least not in the first part). Characters are not introduced, and over everything is a sense of ‘whatever’, I don’t care so much what happens here. There are some clever cuts, in particular making Amidala into two characters allows for some creative editing of the first movie, some other cuts are just downright confusing. And if I’m not crazy, watching the avi I find the audio goes out of sync in the opera scene. I did kinda like the transition into the third movie, there was so much crap that we didn’t have to see. The third movie turns out to be the focus of this edit, but it’s not so much a movie about Obi-wan as a general fixing of stuff that wasn’t so good. That could have worked out, but like this it doesn’t really give us something new and still leaves in a bunch of bad movie making. Video editing is excellent. Audio editing is ok. Several transitions are weird, swells and music changes don’t always work so well. In the end this didn’t do that much for me. In some parts I found I prefered the original (horrid thought!). The best thing about this one was to me that we could skip a lot of the movies. JasonN says himself that this edit didn’t satisy and went on to make edits of each prequel. I hope that endevour worked out better.